Well, it doesn't look like I'm having a third kid born on the 8th of their birth month since there is only an hour and 15 minutes left. However, I did get a cute little hat made for Baby Girl. This is not a great photo of it. I think it is cuter in person. I sized it off of one of the Gerber newborn caps so I am hoping it fits her. It is a tiny bit larger than the Gerber cap and is fairly stretchy. 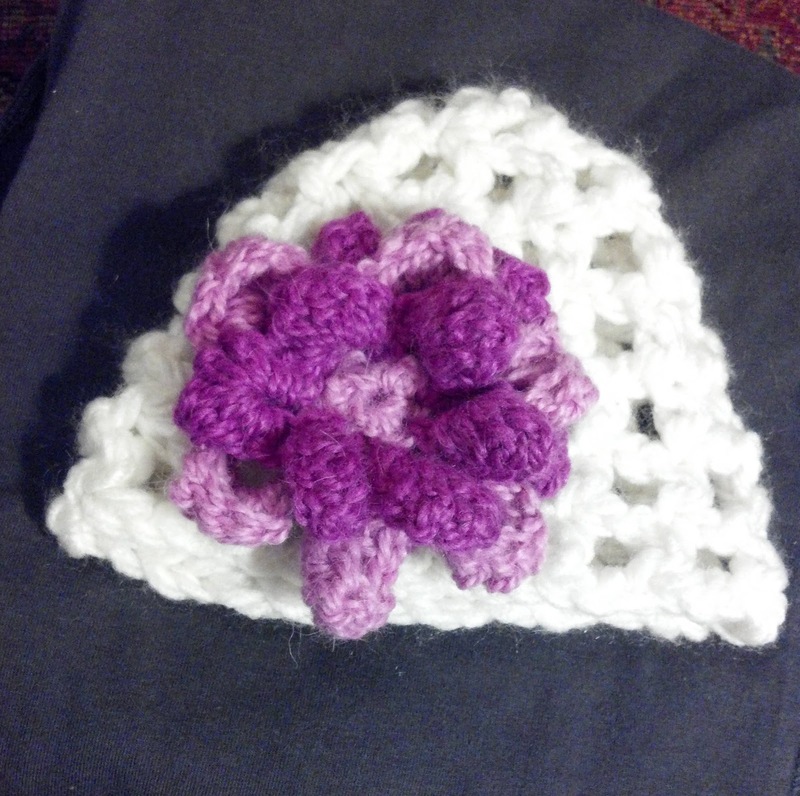 The flower is made from 3 flowers I made ages ago for a scarf that I never finished. I layered them together to put on the hat. Can't wait until I can show off photos of Baby Girl wearing the hat. Well, at least you made a cute hat. Anything fun queued up for l&d? I've got a scarf I've been working on for awhile that I'll take with me. Whether or not I'll do anything with it, we'll see. Last time I played Yahtzee with my family with in labor.